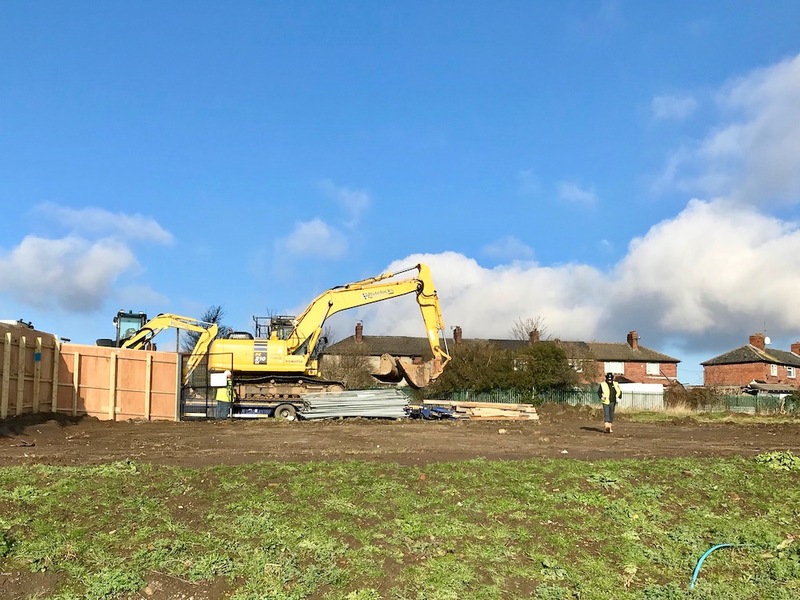 Ground works for the permanent building at Elements Primary School in Middleton have got underway with arrival of heavy earth moving equipment on site. The first phase of work, due to last ten weeks, will see topsoil across the site removed, sifted and reinstated. This is necessary to check for contaminants, which may remain from the former council houses which stood on the site. The next phase will see foundations dug and laid ahead of the building arriving in modules for assembling on site. The entire building: classrooms, offices, toilets, etc is being built in a factory in Ireland, by modular building specialists McAvoy Group. The units will arrive onsite complete with electrics, plumbing and lighting already fitted; internal decoration and external brick effect cladding. This modern method of construction is faster than traditional methods and will ensure that the building is ready to open in September 2019 for the new school year. Elements Primary School opened its Reception class in September 2018 in a temporary building on Acre Mount in Middleton. The new building will accommodate a two form entry (420 pupils) school in a two storey building.